Officials at the River City Company said BIDs "are common tools (over 1,000 in North America) that allow downtown property owners, including homeowners, to decide if they would like to receive and fund enhanced services. Most BIDs provide heightened cleaning and beautification services along with safety initiatives. BIDs can also provide a variety of other services including, but not limited to, capital improvements, retail support, marketing assistance, special events and programing." River City, which has hired a BID expert to explain the process here, said, "Chattanooga is one of the largest cities in the country without a BID and the largest market in Tennessee without one; Knoxville, Memphis and Nashville all have BIDs in place. As we look how to keep our city competitive, the concept of a BID keeps coming up both from locals and from those in other markets doing work in Chattanooga as a viable tool to address needs." "BIDs are self-imposed. The organization of a BID is through a petition process that has to be signed by a majority of property owners (over 50 percent) representing two-thirds of the value in the proposed BID area. This endeavor doesn’t happen unless property owners in the proposed area want it. If formed, BIDs are self-governed by a board that represents those who pay into the BID including property and business owners along with homeowners in the defined BID area. "BIDs do not replace the existing services you receive from the City of Chattanooga. 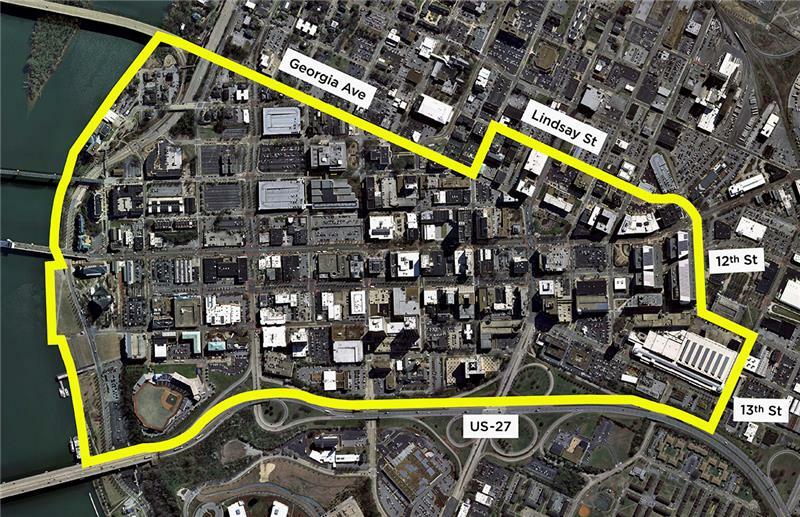 Per the Tennessee state statue on BIDs, the City will document its existing level of service in the proposed area. The BID will perform enhanced service above those the City provides. As an example, the City will continue to pick up bagged trash out of the receptacles in Downtown. The BID will come behind and pick up the trash that doesn’t make it into the receptacles, wipe down dirty receptacles and use a pan and broom to sweep up the smaller debris like cigarette butts." River City said it has retained the country’s leading BID expert, Progressive Urban Management Associates, who has helped create or renew over 80 BIDs to come to Chattanooga "and help us determine if a BID is both feasible for our city and what BID services you want to see." 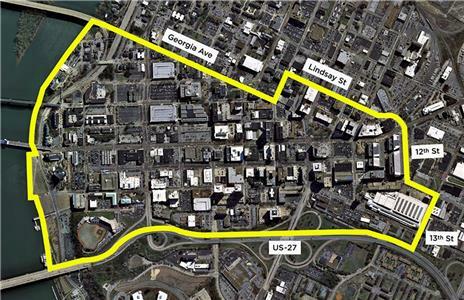 Downtown stakeholders are encourage to attend one of the three meetings on Wednesday. Officials said, "We’ve tried to group like stakeholders together, but the information shared at each of these meetings will be the same. You are welcome to attend whichever meeting works for your schedule. If you cannot attend, we will be sending out a survey after October 3rd that will help us determine if stakeholders both desire a BID and then what services he/she would like to see. Please fill that measure out when you receive it via email." Bessie Smith Cultural Center – 200 East MLK Blvd.